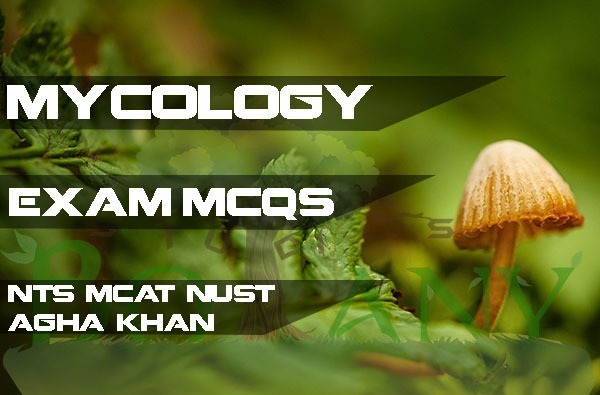 Mycology NTS MCAT NUST AGHA KHAN MCQ: Mycology Multiple choice questions for preparation of NTS exams and all other universities including NUST, MCAT, AGHA KHAN. Students can prepare their exams by using the following outlet of mcqs for preparation. The multiple choice questions are designed very easy and best for preparing the follow up exams. Once you checked out all the questions. Shift below to check the answers. Which of the following statement is true about fungi? Which of the following NOT edible? What is true about an ascus? Which of the following is a fungal disease of plants? What is the characteristic of budding in Yeast? What is true of Penicillium? Which of the following is not true for spores produced by fungi? Which of the following is not true for Zygospores produced by fungi? Which of the following is not sac fungi? Which one is the Deuteromycota? Which is the largest group of fungi, including over 60,000 species?